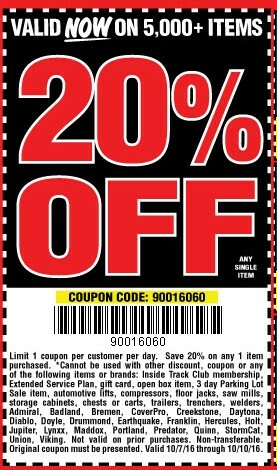 Save 20% on any 1 item purchased. Limit 1 coupon per customer per day. 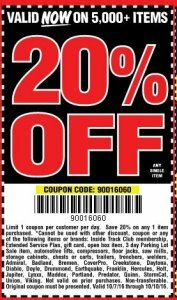 Coupon os good for online or in-store purchases.